Shower Doors, Winston-Salem, NC | Residential Building Specialties, Inc. Shower Doors, Winston-Salem, NC | Residential Building Specialties, Inc.
We can supply shower doors that will enhance the quality of any building project. 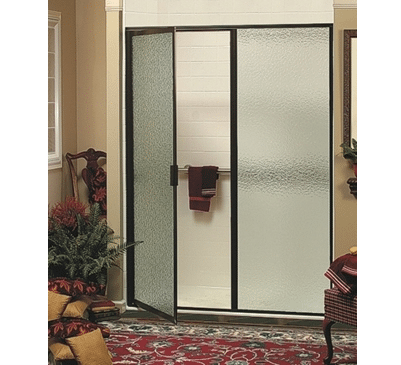 At Residential Building Specialties, Inc., we offer shower doors to builders, contractors, and homeowners. We custom-build all our shower doors in-house using products and materials from Coral Industries. Coral Industries is the leading shower door manufacturer in the U.S., and their products boast longstanding longevity, beauty, and functionality. Our selection of shower doors is incredibly comprehensive – we offer bypass shower doors, standard framed swing doors, in-line shower doors, corner shower doors, 1/4 semi-frameless shower doors, 3/8 heavy glass frameless shower doors, and 3/8 heavy glass frameless shower doors with Prima Headers. We also have many glass and finish options to choose from and can custom design and build a shower door to fit your specific needs. We believe that our selection of products, including our shower doors, is heads above our competitors in Winston-Salem, North Carolina. Make us your exclusive source for shower doors whenever you take on a new building or renovation project, and our team will make sure you secure the exact products you envision seamlessly and without hassle. Contact us at RBS today, and we can go over our selection of shower doors with you in detail and help you purchase a new door for a singular project or shower doors in bulk for a large-scale endeavor. We look forward to hearing from you and to helping you ensure the success of your next project!